In an article out of CES, Reuters managed to uncover a few interesting facts in their interview with Han Myoung-sup, the head of Samsung's digital camera group. For example, Samsung sold only 120,000 NX cameras last year, and hopes to move that number to 500,000 this year. That 120k number represents a low single digit market share, and not even 1% of the overall interchangeable lens camera market. I'll repeat something I wrote about DSLR sales very early on in the DSLR-era: incoming tides float all boats. 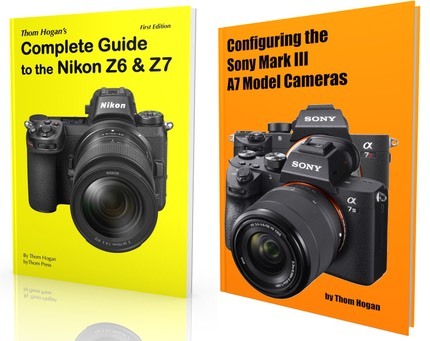 The camera companies (like many tech companies) see high growth markets such as mirrorless cameras as "volume increasers" and pursue them relentlessly. In the end, few ever manage to gain real traction as the big embedded players eventually fight to hold serve. In four generations of new types of cameras I've watched the single digit market share players do the same thing time after time: spend enormously to get minor market share. Ries and Trout were right many, many years ago in The 22 Immutable Laws of Marketing. Rule #2: If you can't be first in a category, set up a new category you can be first in. (#10 also applies: Over time, a category will divide and become two or more categories.) I fail to see where Samsung is following Rule #2 (to Olympus' and Panasonic's credit, that's exactly what they did with m4/3, though they're failing at some of the other rules.). This is one of the most common failure methods in the high tech industry. Just copying and mimicking doesn't cut it. It's not actually the product itself that's eventually important, it's owning the perception in a customer's mind (Rule #4). Update: I'm amused at some of the attempts at logic that people come up with. For example, some people posting about this article elsewhere seem to believe that R&T's Rule #2 is not applicable because they can find examples of companies that attempted it and failed. Companies fail all the time for various reasons. R&T were asserting IF A<1 THEN PERFORM B. You can fail at both A and B in their assertion, but at the point you would apply it, you've only failed at A ;~). Samsung has failed at A; they have not attempted B.